Writing a historical novel is both an art and a responsibility. What kind of choices does the author have to make? And how does he or she decide what to include and what to leave out? 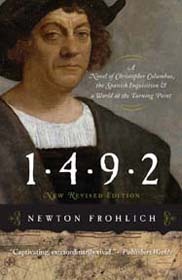 Newton Frohlich reveals his goals and the key choices he made in writing his award-winning historical novel The Shakespeare Mask in an article published January 31, 2016 in the prestigious journal Linguistics and Literature Studies, an international peer-reviewed journal that publishes original and high-quality research papers in all areas of linguistics and literature. 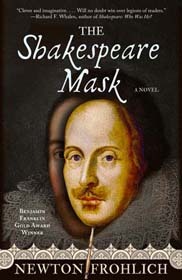 His article, “Writing The Shakespeare Mask—The Novelist’s Choices,” is a fascinating and revealing look at how he dealt with his compelling and controversial subject: who really wrote the works of Shakespeare?